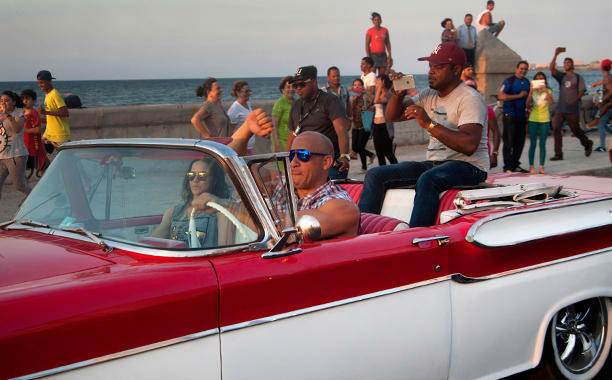 The process of making the movie Fast and Furious 8 has been heavily reported in the media. This makes the action movie lovers who always studded high class sports cars getting impatient waiting for it. As quoted from Screenrant and Entertainment Weekly on Tuesday, June 14, 2016, the eighth episode is claimed to be more fantastic than the previous series. Not only of action, but also the appearance of the cars more attractive, although until now the storyline is still very secret. A little bit to cure the curiosity, recently Dennis McCarthy, coordinator of the cars that used on these movies has uploaded a video tour to the warehouse containing the cars that will be in action in the Fast and Furious 8. Among the vehicles on display are the Ferrari 458, Nissan IDX concept car, the Bentley Continental GT, and the Land Rover One Ten, as well as many others. Warehouses are referred to as "Automotive Valhalla," is a massive garage housing $17 million worth of tricked-out cars, motorcycles, boats, and other conveyances as well as the McDonnell Douglas 600N helicopter. "As you can see, we are really ready for everything," said McCarthy. The fixed stars of Fast and Furious movies which certainly appear, such as Vin Diesel, Michelle Rodriguez, Jordana Brewster, Tyeres Gibson, Chris "Ludacris" Bridges, Elsa Pataky, and Lucas Black. Another actor called will star the Fast 8 is Jason Statham, Dwayne Johnson (The Rock), Kurt Russell, Charlize Theron, and Scott Eastwood.